Without a robust operational capital, your business may stop functioning properly. The funds are required to pay for essential items like infrastructure costs, amenities like water and electricity, and salaries of the employees. There are several ways to ensure your business’ working capital doesn’t take a hit even during turbulent financial situations; amongst which working capital loan is one of the most popular choices. Working capital loans are a form of short-term financing provided especially to cover overhead costs of a company. These advances are not meant for investments. Instead, companies use these funds to pay for salaries, daily operational expenses, etc. Very few businesses enjoy stable revenue throughout the year. A working capital loan can help pay for the necessary expenses when the trade is slow. It is essential to ensure your business never runs out of working capital so that you have the resources to clear off all overhead expenses and liabilities. And, working capital loans are ideal financial products to help small and medium enterprises sustain even in turbulent economy. 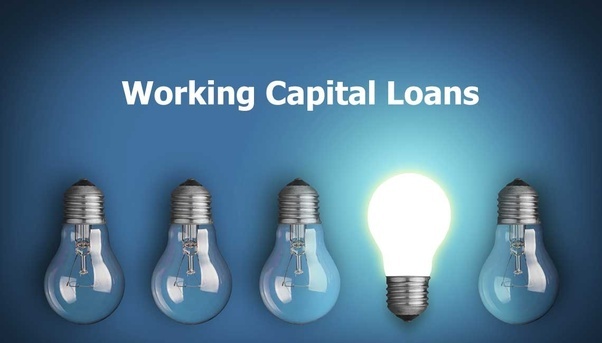 How to manage working capital loans? Procuring raw material or purchasing inventory – Financial institutions offer these types of business loans of up to Rs. 30 Lakh, which can be used to acquire better quality raw materials or refresh an organisation’s stock. Pay for utilities and overhead costs – As mentioned, utility bills, salary, and various other overhead costs form a large portion of an establishment’s working capital. A loan can help finance such essential expenditures without straining your organisations budget. Maintain a good amount of reserve funds – Proper utilisation of an operational capital loan leaves a substantial portion of your business’ earning as a cash reserve. You can utilise it to grow your establishment’s output or keep it as an emergency fund. Various financial institutions offer working capital loans at borrower-friendly terms and affordable rates of interest. Availing this type of business loan can help boost a business’ growth multi-fold. Repaying working capital loans – Managing your working capital loan involves making timely repayments to pay off the debt within its tenor. Let’s take a look at how you can repay the loan and get benefits from it. 2) Pay the EMIs on time – One of the primary requisites of managing an advance is a habit of paying the EMIs in time. It will not only increase your creditworthiness but also prevent you from accumulating unnecessary debts. Pay the EMIs on time – One of the primary requisites of managing an advance is a habit of paying the EMIs in time. It will not only increase your creditworthiness but also prevent you from accumulating unnecessary debts. Timely repayment of dues creates an excellent financial profile as lenders consider you as financially responsible. It also improves your credit score and makes it easier for you to avail loans in the future. Enjoy part or full repayment – Many financial institutions allow a borrower to make part or full repayments to clear of the loan amount ahead of the due date. With proper working capital management, you can save a portion of your revenue to repay the debt beforehand. Both part repayment and foreclosure leave positive effects on your credit score. You also save a considerable amount of money which you would otherwise pay as interests. Repayment frees more funds to invest in your business and increase its operating capital and productivity. Set up auto-payment systems – There are various online platforms available in India that offer automatic monthly payment systems for loan repayments. NACH (National Automated Clearing House) and ECS (Electronic Clearance Services) are two of the government-backed initiatives designed to handle periodic repayments. A host of financial institutions offer working capital loans to cater to the 48 million SMEs in India. Companies like Bajaj Finserv also provide various features and benefits that help their customers when availing loans. Hence, working capital loans can keep your business afloat by providing a substantial amount of fund for its daily operations and freeing the revenue to finance its growth. So, apply for the loan and ensure its proper management to increase your business’ credibility in the long run.